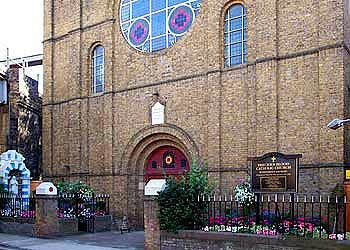 The Church of the Most Precious Blood in the Borough (a short walk from London Bridge Station) has been given into the care of the Ordinariate of Our Lady of Walsingham. They have arranged "Evenings of Faith: Reasons for believing." In October, these will be given by two priests of the Faith Movement, dealing with subjects that are vital to apologetics in our culture.